M&S’ corporate and commercial lawyers are well-versed in contractual requirements based on Luxembourg law and practice. However, due to the growing internationalisation of German contract law, inspiration from foreign case law – American and Anglo-Saxon law in particular – is featuring increasingly in the agreements we deal with daily. Our lawyers are versatile and assist our clients in concluding all manner of contracts, even those outside M&S’ mentioned areas of expertise. The extent of the fields covered are extremely varied, but among others include outsourcing, leasing and rent, franchising, public contracts, purchase and sale, agency and distribution, power of attorney and commission, advice and service. We often work transnationally and even without advising on another countries’ laws, we know the import of commanding a general knowledge of the foreign law and its relevant legal and commercial structure. This enables one to understand the elements of an international contract and ensure it is being applied correctly. This also pertains to the conclusion of agreements that include undertakings with a foreign background. At M&S, we endeavour to obtain and maintain all necessary knowledge through extensive practice and thorough training in the relevant field. Many agreements are based on internationally recognised or established standards of form, including Uncitral, Ogalime, NL, ICC, Incoterms etc. Our corporate and commercial department advises on the application of these varied legal standards and provide all necessary assistance in connection with relevant international business transactions.  Contracts and agreements have always been one of M&S’ core undertakings and our clients rely greatly on our expertise in the area. Our practice group “Commercial Contracts” provides advice on activities in most industries concerning the conclusion and performance of all types of agreements in the course of our clients’ commercial business. Our clients are large and medium-sized leading enterprises, including multinational companies, manufacturing companies, leasing companies, transport and logistics companies, import companies, venture capital funds, production and sales companies and financing companies as well as consultancy firms. We have thorough knowledge of most industries, and combined with our legal expertise and commercial understanding, we are able to provide advice of the highest standard when it comes to commercially sound solutions within the applicable legal framework.